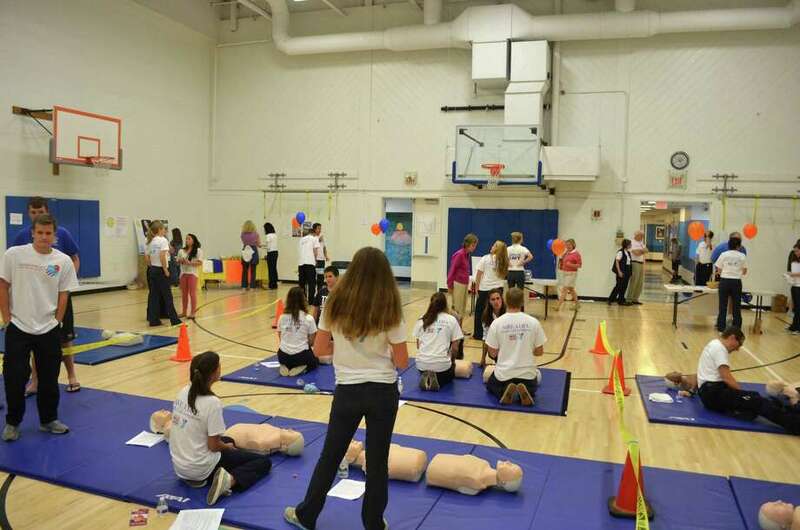 The Post 53 volunteer ambulance corps made it their mission to train 1,000 members of the community at a recent Hands for Life event, where people were trained in hands-only CPR on Sunday, Sept. 29, at the Darien YMCA. They fell short at 904, but it was still considered a successful day by members of the ambulance corps and First Selectman Jayme Stevenson, who commended the organization on its work at the Monday, Sept. 30, Board of Selectmen meeting. Each year, nearly 785,000 Americans suffer from a heart attack. Nearly 300,000 of them suffer sudden cardiac arrest at the time of their heart attack, outside of a hospital setting. Less than one in four receive CPR from a bystander, and only about 5 percent of cardiac arrest victims survive. Studies show that survival rates fall 10 percent each minute without CPR before emergency medical assistance, often with a fatal outcome. If more people knew how to provide effective, simple-to-apply Hands-Only CPR, more victims could be helped, doubling or even tripling their chances of survival.